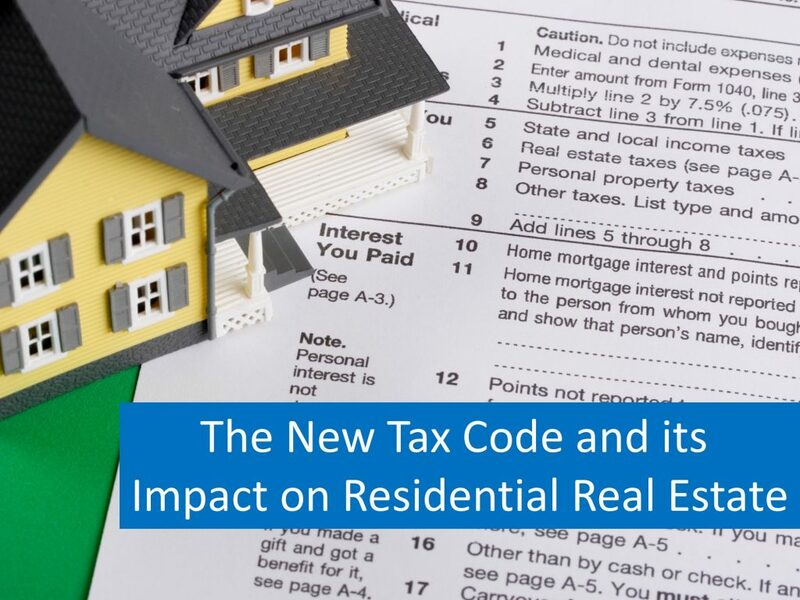 What Impact Will the New Tax Code Have on Home Values??? Every month CoreLogic release its HomePrice Insight Report. In that report, they forecast where they believe residential real estate prices will be in twelve months. As we can see, CoreLogic projects an increase in home values in 49 of 50 states, and Washington, DC, (there was insufficient data for HI). 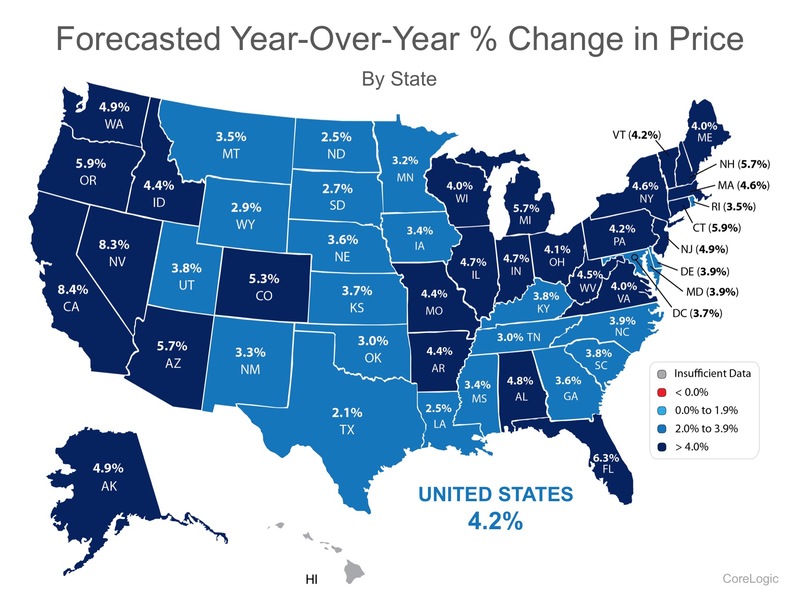 Nationwide, they see home prices increasing by 4.2%. How might the new tax code impact these numbers??? 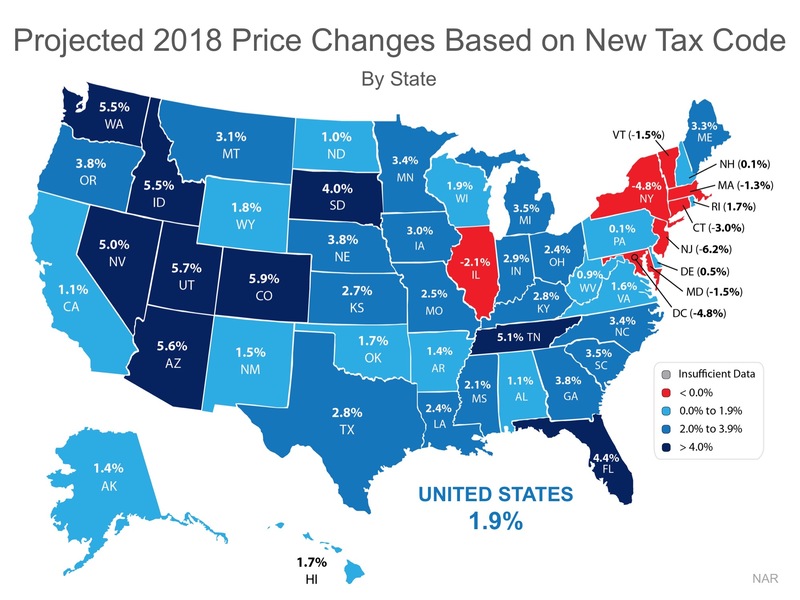 "...estimated how home prices will change in the upcoming year for each state, considering the impact of the new tax law and the momentum of jobs and housing inventory." According to NAR, the new code will have an impact on home values across the country. However, the effect will be much less significant than what some originally thought. According to Ellie Mae's latest Origination Report, the average FICO® Score on all closed loans dropped to 722 which is the all-time lowest since last April.The average includes all refinance and purchase loans. FHA and VA loans showed the most opportunity for the millennials looking to enter the market with a low down payments and even lower FICO® score requirements. Ellie Mae's millennial tracker revealed that those who purchased homes in December with an FHA loan were able to do so with a average down payment of 4% and a low FICO® score of 684. More and potential buyers are able to qualify for a mortgage loan now! If you are debating a home purchase, lets get together to evaluate your buying ability today. No matter what shape or size your living space is, the concept and feeling of home can mean different things to different people. Whether it's a certain scent or a favorite chair, the emotional reasons why we choose to buy our homes are typically more important to us than the financial ones. 3. You have more space for you and your family. 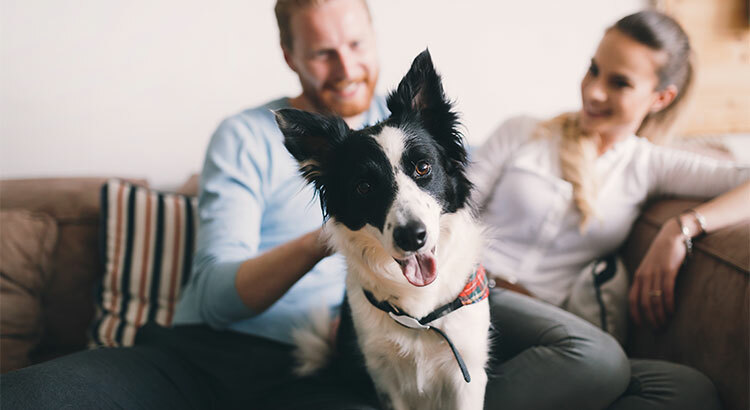 Whether your family is expending, an older family is moving in, or you need to have a large backyard for your furry pets, you can take this all into consideration when buying your dream home! Looking to actually try one of those complicated wall treatments that you saw on Pinterest? Tired of paying an additional pet deposit for your apartment building? ot maybe you want to finally adopt that puppy or kitten you've seen online 100 times? Who's to say that you can't in your own home? The #1 Reason to List Your House Today!!! Many people believe that selling their house during "the spring buyers market" is the best thing to do. Their reasoning is that there will be more buyers than there are during the winter months and, therefore, their house will sell quicker and for a higher price. Historically,this made sense. However, today's real estate market is not following the rules of the past. "Foot traffic has a strong correlation with future contracts and home sales, so it can be viewed as a peek ahead at sales trend two to three months into the future." 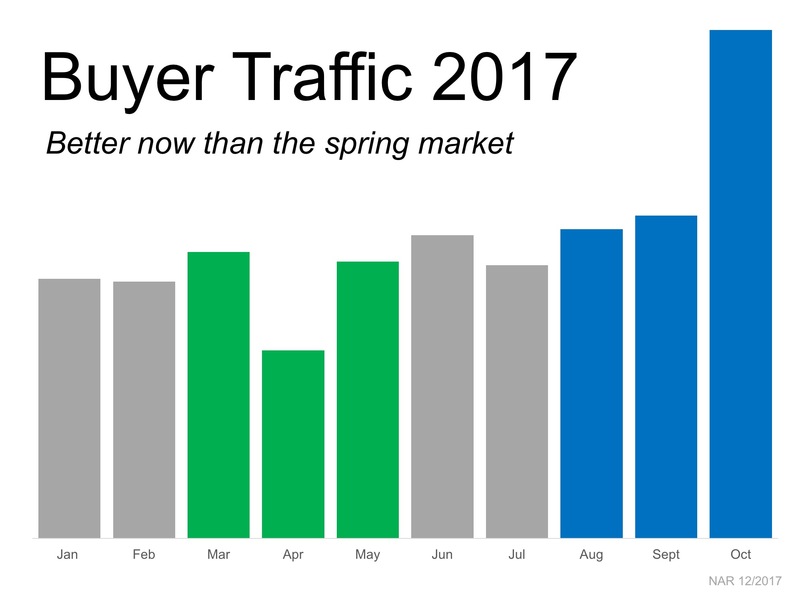 According the the latest "foot traffic report" buyer traffic is greater now than it was during this year's spring market and there are more buyers out now than at any other time in the last five years. The chart below shows that buyer activity over the last three months (blue bars) was greater than it was during the past spring market (green bars). 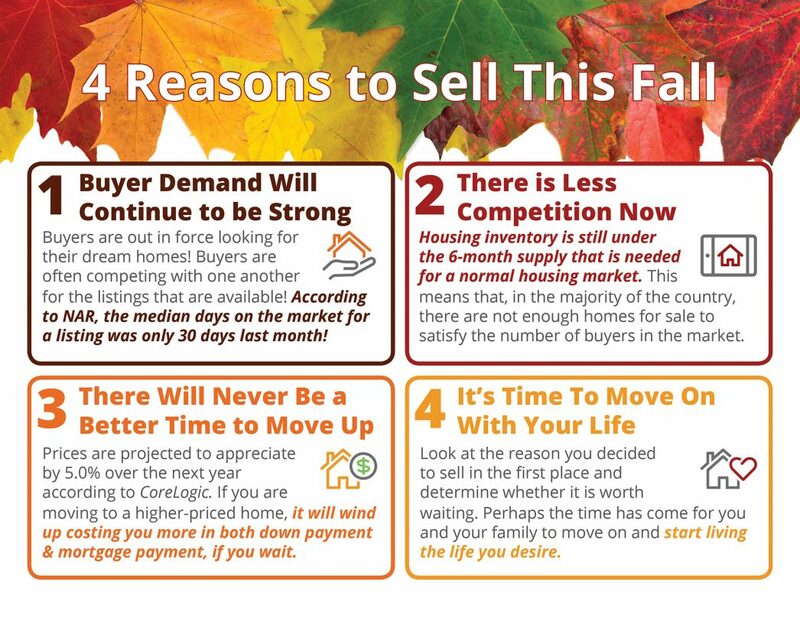 If you are waiting for next spring to list your home because you think that's when the buyers will be out in force, perhaps you should reconsider. Buyers are out right now!!! Thinking of Buying? Know Your Credit Score! Knowing your credit score or getting a recent copy of your credit report is one of the first steps that you can take toward knowing how ready you are to start the home process. Make sure all the information listed on your report is accurate and work to correct any mistakes. The higher your credit score, the more likely you will be to receive a better interest rate for your mortgage, which will translate into more "Home for your money"
Many potential buyers believe that they need a 750% FICO Score or higher to be able to purchase a home. 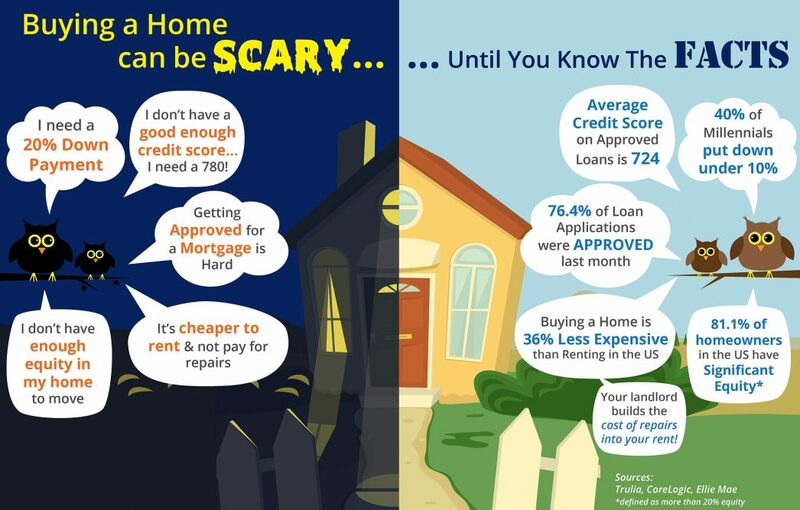 The truth is, over 53% of loans were approved with a FICO score under 750 last month. * Make payments, including rent, credit cards, and cal loans on time. * Keep your spending to no more than 30% of your limit on credit cards. * Pay down high-balance credit cards to lower balances, and consider balance transfers to free up credit. * Check for errors on your credit report and work towards fixing them. * Shop for mortgage rates within a 30-day period -- Too many spread-out inquiries can lower your score. * Work with a credit counselor or a lender to improve your score. 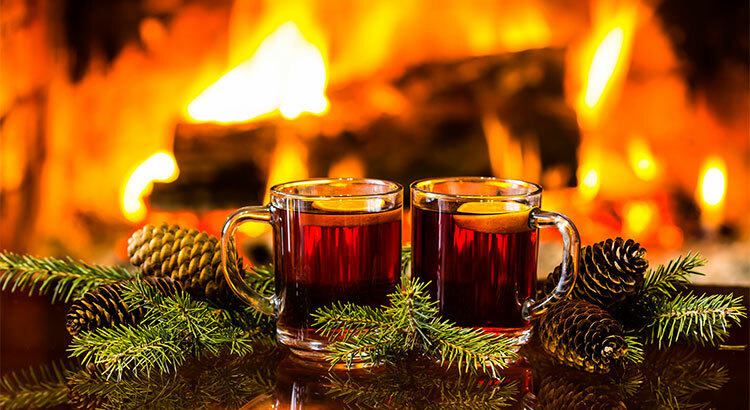 Tips for getting your your appealing during the winter months. As we know, the winter months is the hardest period to sell a home. The period between Thanksgiving through the New Year poises a unique set of selling challenges. As a home seller during these months, you will want to put your best foot forward. Here are a few winter selling tips to help with selling your home. Curb appeal is important year-round, but especially in the winter months. Buyers will perceive a unkempt house on the outside as not taken care of on the inside as well. Landscaping should be kept, trimmed, and clean the fallen leaves from underneath. Weather-hardy evergreens can go a long way for helping curb appeal. Make sure gutters are in place and secure as well as exterior elements such as windows and doors. Ensure that windows and doors are in good working condition. Have them sealed for tightness and snug to keep out winter elements. It is important to make sure all of your driveways and pathways are clean and clear. With the sun setting earlier, exterior lighting is important especially in the evening for showings. Add some extra outdoor lighting such as motion lights for pathways. Additionally, interior lighting will be important as well. Make sure all light bulbs are working and if in doubt, add more lighting such as more floor or table lamps and/or higher wattage light bulbs where needed. The National Association of Realtors releases their latest Quarterly Metro Home Price Report last week. The report revealed that severely lacking inventory across the country drained sales growth and kept home prices rising at a steady clip in nearly all metro areas. Home prices rose 5.3% over the last quarter across all metros. "Unfortunately, the pace of new listings were unable to replace what was quickly sold. Home shoppers had little to choose from, and many had to outbid others in order to close on a home. The end result was a slowdown in sales from earlier in the year, steadfast price growth and weakening affordability conditions." Rising prices are a homeowner's best friend. 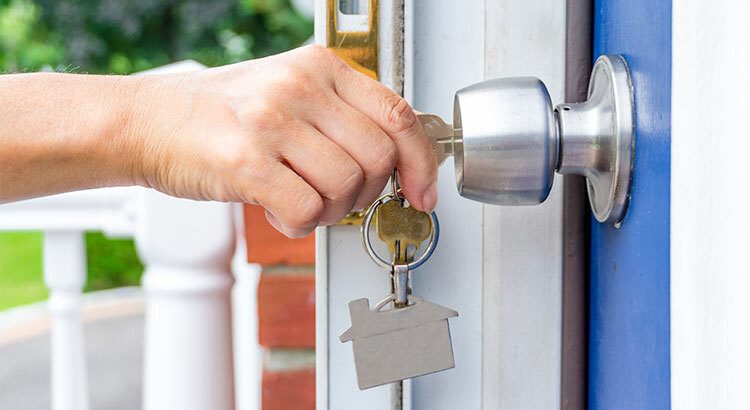 The Washington Post's recently had a article stating "The rise in median sales prices has made current homeowners much more willing to sell their home, and that willingness is one of the main drivers behind the inventory that does make it on the market. While it hasn't been enough to meet demand, it has made the situation much better, compared with even three or four years ago." In a market where prices are rising, buyers should take into account the cost of waiting. Obviously, they will pay more for the same house later the year or next year. However, the cash needed to purchase that home will also increase. If you're thinking of selling and moving down, waiting might make sense. If you are a first time buyer or a seller thinking of moving up, waiting probably doesn't make sense. Remember the reason you decided to move? Now decide if that reason is worth waiting? If you plan of moving from your current home, do it now. Interest rates are projected to rise up and market prices will appreciate. There will be more competition on the market you will be competing with meaning, there are not enough homes on the market to satisfy the buyers in the market. This keeps prices higher verses the offers with all the additional inventory hitting in the Spring. Buyers are more serious which will have less time wasted and a quicker closing date. You have the power to take control of the situation by putting your home on the market. Perhaps now the time has come for you and your family to move on and start living the life you desire. This is what truly is important--- Isn't it?? Is a 20 percent down payment still the best financial decision? You've most likely heard the rule: Save for a 20-percent down payment before you buy a home. The logic behind saving 20% is solid, as it shows that you have the financial discipline and stability to save for a long-term goal. It also helps you get favorable rates from lenders. But there can actually be financial benefits to putting down a small down payment-as low as 3%-rather than parting with so much cash up front, even is you have the money available. 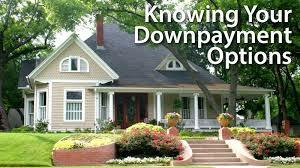 The downsides of a small down payment are pretty well known. You'll have to pay Private Mortgage Insurance for years, and the lower your down payment, the more you'll pay. You'll also be offered a lesser loan amount the borrowers who have a 20% down payment, which will eliminate some homes from your search. The national average for home appreciation is about 5%. The appreciation is independent from your home payment, so whether you put down 20% or 3%, the increase in equity is the same. 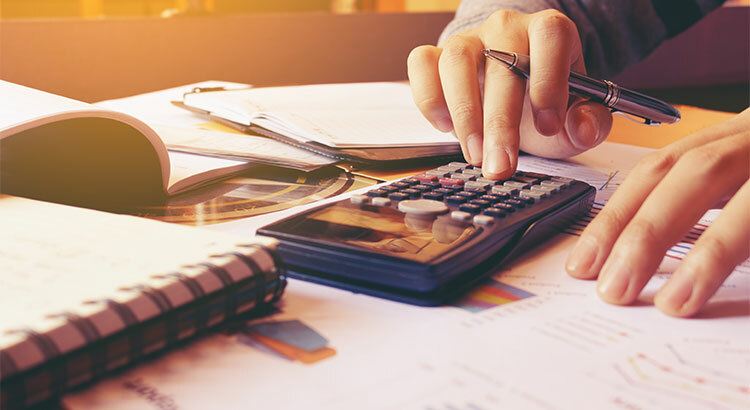 If you're looking at your home as an investment, putting down a smaller amount can lead to a higher return on investment, while also leaving more of your savings free for home repairs, upgrades, or other investment opportunities. Of course, your home payment options aren't binary. 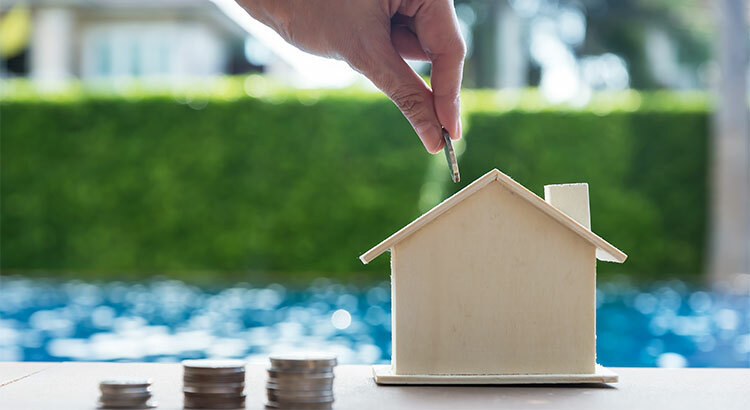 Most borrowers can find some common ground between the security of a traditional 20% and an investment-focused, small down payment. Your trusted real estate professional can provide some answers as you explore your financing options.